Create Limited (Chartered Architects & Chartered Surveyors in Guernsey) specified parquet flooring for their client's home. 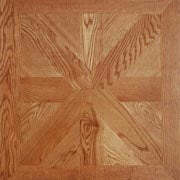 The client wanted the parquet in a particular style. We worked with Create Ltd and developed the Heritage English Parquet Flooring Panel (P824). In order to save time and expensive fitting fees we mounted the parquet blocks on to plywood squares, these squares were then given tongue and groove joints so they'd slot together. This method of manufacture minimised errors and allowed this beautiful parquet flooring to be fitted like normal floorboards. To frame the gorgeous parquet, we used our Oiled Black American Walnut flooring (E511). 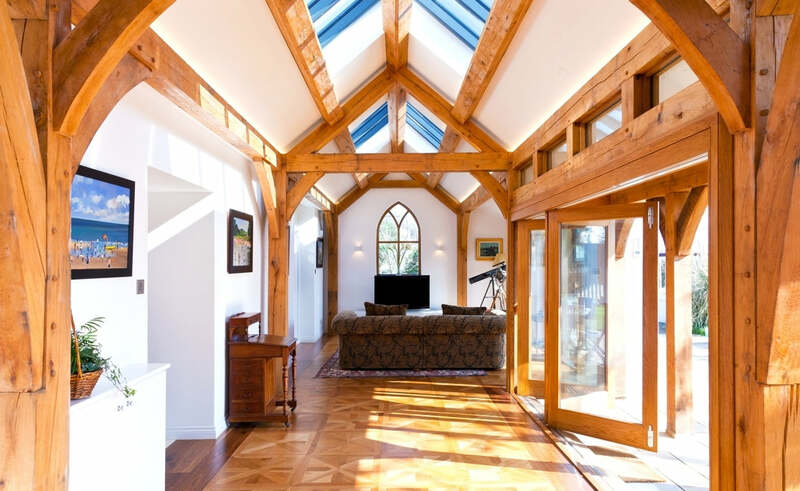 This contrasting dark frame excentuates the beauty of both the oak and walnut in this well designed home. Further product information is at the bottom of this Inspiration Gallery.